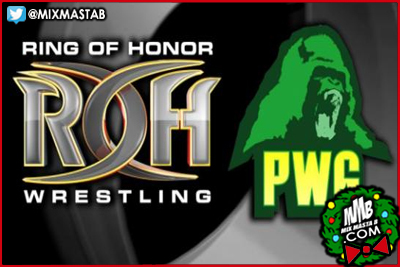 (BALTIMORE, MD) – Ring of Honor Wrestling announced that they’ve entered into a strategic agreement with Pro Wrestling Guerrilla that enables exclusively contracted stars to compete on a select number of PWG shows per year in California. With this agreement, wrestling fans can look forward to seeing stars such as Adam Cole, Kyle O’Reilly, The Young Bucks, etc. compete at PWG shows, demonstrating to the West Coast why Ring of Honor is the best wrestling on the planet. More information will be made available on http://rohwrestling.com and on Ring of Honor’s social media channels, including Facebook, Twitter, Instagram, and YouTube. Ring of Honor Wrestling is owned by Sinclair Broadcast Group, Inc., the largest and one of the most diversified television broadcasting companies with affiliations across all the major networks. Ring of Honor is a professional wresting company which produces weekly, original 1-hour television wrestling programs and is the only wresting promotion in the United States with a major, multi-market presence on broadcast TV. Ring of Honor is also syndicated on select TV stations and regional Cable Systems. For further information on Ring of Honor visit www.rohwrestling.com.